Many today will be celebrating the birth of Lord Shree Krishna. I wish you all a very Happy Janmaashtmi. I will be celebrating the festival tonight at the Dharma Bhakti Manor in Stanmore. 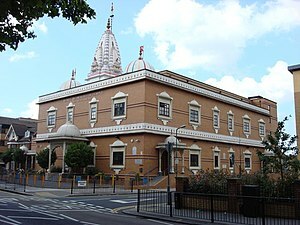 Other Temples that will be celebrating the festival in the North-West London region include the Swaminarayan Temples in Willesden and Kenton and the Bhaktivedantor Manor in Watford.